Running your first 5K is an exciting goal for brand new runners, or those who have never toed the line of a race before. 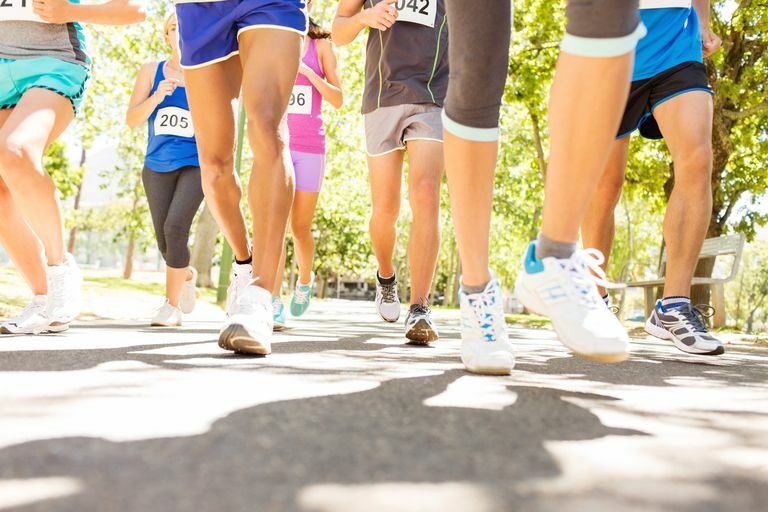 A 5K race is 5 kilometers long (or 3.1 miles) and a popular distance for first-timers. It’s the perfect way to get in shape and have some fun while exercising. Even if you don’t consider yourself a runner (yet), almost anyone can be ready to run a 5K by starting slowly, learning the basics, and following a smart training plan. If you’re feeling nervous or hesitant about running a race, you’re not alone. More experienced runners get nervous for big races too, but many new runners worry they’re “too slow to run a race” or that they will come in last or not being able to finish at all. Facing your fears and overcoming them will give you a big confidence boost as a runner. It may even inspire you to set new fitness goals or take on challenges in other areas of your life. The running community is an incredibly supportive group of people and it’s not likely you’ll feel alone in the race, no matter what your speed. Become a better runner: Picking a goal like a 5K race can help you improve your efficiency as a runner. Keep these tips for proper running form handy as you start training for the big race. Stay accountable: There's nothing like a deadline to get you moving! Having a race date circled on your calendar will help you run more consistently and get out there on days you just don't feel like running. Stick to a schedule: If you're the type of person who likes to follow a specific schedule, you'll love training for a race. We can help you find the training plan that’s fits into your life—even if you think you don’t have time to train. Find a community: Not a fan of running on your own? Races are a great way to connect with other runners in your area—and learn about more events, group runs, and clubs where you live. Or, if you already have some running friends, find a race you can all take on together! Support a good cause: Many races benefit charities and worthwhile causes and are a way for runners to give back. Running for a cause can make your races even more meaningful and fulfilling. Get free stuff: From post-race bananas and snacks to finisher T-shirts and medals, it’s nice to get a little reward and recognition for your efforts. Go ahead, show off that victory with your race swag. Feel proud of yourself: Crossing the finish line of your first race will be something you’ll remember for a long time. And improving a PR (personal record or your personal best time) is a goal that can continue to stay with you as a runner. But be warned, those feelings of accomplishment and excitement can be be very addicting. Pick out the right clothes and gear: From choosing the best running shoes and sport bras to knowing what to wear in any temperature or weather, look to this guide for beginner-friendly running clothes and gear to help you look good and feel even better. Choose a training plan that motivates you: There are so many overwhelming 5K training programs available. We’ll help you build a simplified program and learn how to incorporate strength training, stretching, and more so you stay injury-free. Set an appropriate goal: A 5K can take as little as 15 or 20 minutes for fast runners and as much as an hour for walkers. Because there’s such a wide range of abilities, it's important to keep in mind that you’re only competing against yourself. For your first 5K, we recommend setting a goal to do your best, avoid injuries, and have fun. Answer your most common questions: It’s normal to have a ton of questions when taking on the challenge of a 5K race. We’ll answer them all—even the ones that may feel too embarrassing to ask! Avoid pre-race jitters: To help calm nervousness before the race, review our favorite race day tips so you’re focused only on what’s most important—enjoying yourself through all the miles. Setting the goal to run a 5K race is an exciting first step, but can often feel intimidating for new runners. We’re here to help you out with the best advice and tips that will get you fully prepared to take on the challenge and make sure you run 3.1 healthy and happy miles on race day.